This incredible lesbian couple are now close friends of mine, thanks to the power of Facebook. They had been runners-up at the real Maine Wedding of the Year contest and they chose me to shoot their wedding. 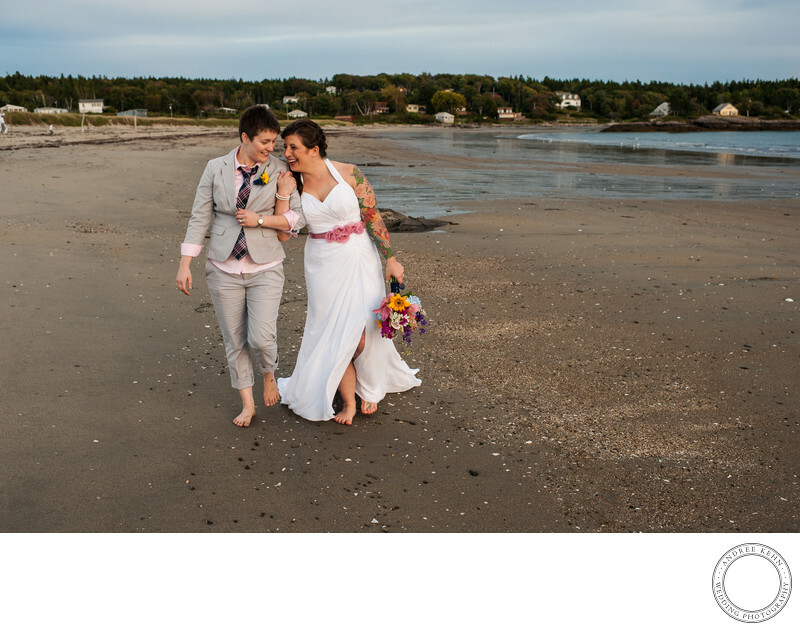 They got married in Phippsburg, Maine at Hermit Island and used the Kelp Shack at their venue. They got married on Head Beach. This image was shot just minutes after their ceremony and the expressions on their faces tells a whole story of the love they have for each other. Location: Hermit Island, Phippsburg, Maine. Keywords: Andree Kehn Wedding Photography (1287). 1/250; f/4.5; ISO 250; 35.0 mm.